1. You follow the pattern set forth in the New Testament. Although the word “membership” itself is not used the principle is present in the New Testament. For example, most of our NT books are letters that were written to specific groups of people who had chosen to identify themselves with Christ and each other. The word “church” is almost always used to refer to a specific group of people who in some way had committed themselves to serving the Lord and one another in the same ministry location. Numbers were known (Acts 1:15, 2:41, 4:4), rolls were kept (1 Tim. 5:9), servants were selected (Acts 6:2-5), discipline was practiced (1 Cor. 5:12-13), worship was corporate (1 Cor 14:23), and shepherds knew for whom they were responsible (Heb. 13:17). If you are a part of the body of Christ by virtue of repentant faith in Jesus Christ then you should want to make that association visibly known through church membership. 2. You have a greater opportunity to use your spiritual gifts. At the moment of your conversion the Holy Spirit came to live inside of your body (1 Cor 6:19). When He did this, He brought along the spiritual gift(s) that He sovereignly chose for you to possess for the blessing of the church (1 Cor 12:7, 11). As we use our gifts, we are being good stewards of the manifold grace of God (1 Peter 4:10). Can you use your spiritual gift without joining a church? Yes, but in most churches many ministry opportunities are limited to church members only. This is as it should be. Unity in doctrine, purity of life, and submissive accountability to one another and leaders are necessary for a healthy Christian life. The process of becoming a member also gives the existing leadership the opportunity to discern one’s agreement in doctrine, ministry purpose, and goals; thus enabling them to know where best you may serve. 3. You become a more committed part of a spiritual family. Joining a local church demonstrates a certain level of commitment. It shows that you want to be more than a bystander, that you want to be involved in ministry in a more significant way. Joining a local church is like entering into a covenant relationship with other believers in order to love them as an active part of a spiritual family (1 Jn 4:7). We also need the spiritual oversight and soul care of faithful shepherds (Heb 13:17). 5. You avail yourself of the wisdom of a multitude of counselors. God never intended for us to live our lives independent of others, or “above” them. He desires for us to develop relationships of accountability with other Christians. According to Proverbs 11:14, in the abundance of counselors there is victory. The local church is a great place to find wise counsel and direction from spiritual leadership and older, more mature believers (Titus 2:1-8). These relationships will help guide you in the many decisions that you face in life so that you may discern God’s good and perfect will. 6. You experience the joy of serving others. God has re-created us in Christ Jesus for the purpose of bringing glory to Him by bearing fruit (Eph 2:10; John 15:2). The fruit of the Spirit is primarily manifested in our relationships with others (Gal 5:22-23). Believers are to follow the example of Christ the Master Servant (Jn 13:15). By joining a local church, you are agreeing with God that one of the ways to bear fruit in the Christian life is by serving others. For a fuller study of the subject of church membership download a free PDF study guide. 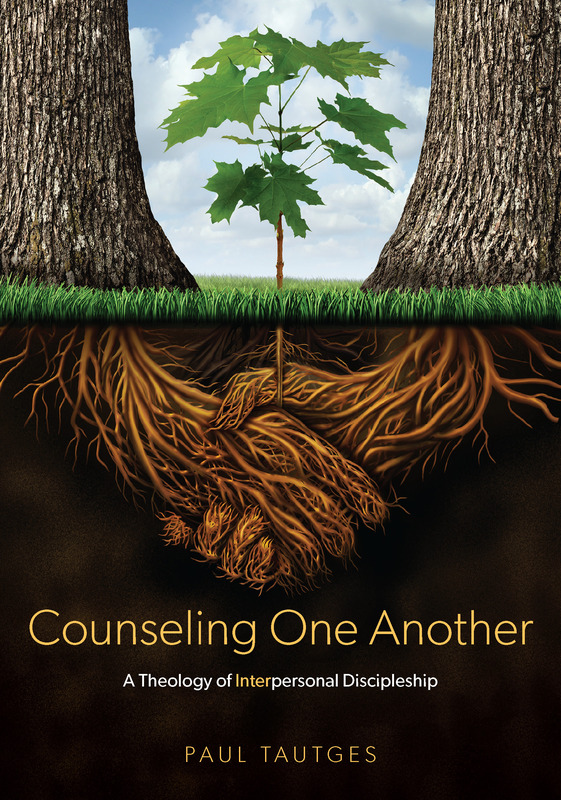 Three more helpful resources for your personal study or small group are: Church Membership (9Marks), Life in the Father’s House (Wayne Mack and Dave Swavely) and HELP! I Need a Church (Jim Newheiser). What if the only churches in your area ignore important doctrines? Apparently I live in a highly charismatic area. I refuse to go to a church where speaking in tongues is forced on everyone. For that matter I don’t really want to be around the “deep” worshiping hand waviers either. Other churches in my area I have rejected because they taught that the Bible was not the only source of God’s knowledge (i.e. Muslims and Hindus just have another way). Infant Baptism is also something I cannot agree with. So you are saying it is a sin for me to hold out for a church that proclaims that salvation is through Christ alone and Him crucified? I should go on and submit myself to a pastor who ignores the clear teaching of scripture? I take this matter very serious. I attend church every week looking for a church that has not lost it’s mind. Unfortunately, your situation is not uncommon. O, how much we need solid church planters in our nation and world! No, I would never tell you to submit to a heretical pastor nor that you should subject yourself, or your family, to a false gospel. But I would encourage you to make this a matter of intense, continued prayer (and perhaps fasting), which you probably have already been doing. Pray the Lord will raise up a godly, faithful local church in your area. Pray He will bring you into contact with a few other believers who are also committed to sound doctrine and its core, Christ-exalting gospel. Perhaps the Lord is calling you to be part of that initial core group that will one day grow into a church that will be a beacon of light and truth in your barren area. I pray it will be so! As I read this my heart sink to the depth and my pray is for this person, for I remember being it their situation while serving in the Army. My family were falling apart my wife was going to these church and they were teaching her our Baptist church at home had taugh her to be a second class person and I were lording over her, I would cry a lone with my son in my arms waiting for her to come home from that church, until one I were led to go there and sit, the lady was preaching but I were reading and I heard a voice from inside me say “Be you seprated” it kept saying it, no feeling or emotions, tears running down, my wife touch my leg and motion toward the door, we get up and left, she hear it too and it told her to leave and be a wife and mother at home and God would find us a church, that night I stopped for some milk for our son at a 7/11, I seen a guy from my S3 shop dressed in tie and shirt, he told me he were an Baptist Minister and was coming from church, we went with him that next sunday and have been in that church for 38 years, God will help you wait on the Lord. @Hurting – I understand the frustration and struggle involved in finding a solid church to become a part of; it is indeed harder and harder to find one where you have no serious doctrinal differences if you are someone doctrine actually matters to. Sadly, when you are going through something like this, it quickly seems like the folks who tend to draw close to “help” you are those who’ve stopped attending anywhere due to idiotic reasons like the volume of the music, the comfort of the chairs, or even the type of coffee served, rather than the folks who could indeed help you find a solid congregation to be a part of. I would encourage you to keep your heart and mind guarded against allowing yourself to be gradually drawn down that road while you are seeking a new church home, it is easy to get caught up in without realizing it. If you find that you have pretty much exhausted the churches in your area, I would absolutely encourage you to gather a few other like-minded believers and begin studying together and praying that God would grow a church for you all to become a part of – do keep very much in mind that your little group could very well be the springboard for that church to grow out of. I commend you for your stance and resoluteness to remain as faithful as your understanding allows – so many today who easily settle for less than they should – and I pray that our great God builds a similar fire in other believers around you to encourage and to help you. One or two will approach a herd. Chaos ensues. In the midst of the confusion the lions will work to separate just one animal out from the herd. Once it’s alone, that’s when the rest of the pride ambushes and overcomes the isolated animal. Seems to me that something similar happens within the landscape of the church. Something profoundly supernatural is happening when a person, for wrong reasons, is distancing themselves from God’s first line of defense. They begin to wonder from the safety of the herd, the brotherhood. There’s no where more vulnerable for the child of God than all alone. Satan waits in ambush. It’s a sad and tragic reality that we face in Christianity. Unfortunately, in the midst of the chaos people become disoriented and wander from the church. I concur that faithful membership to a local church is a vital, life-giving, life-preserving necessity for every child of God. And I’m grateful for like-minded men, who believe that counseling belongs to the church, with whom I can lock arms in our fight for truth and souls. Thanks, Jeff. Excellent reminder. Whenever I read 1 Peter 5:8 my mind goes back to watching “Wild Kingdom” (I’m dating myself!) on television. I will never forget one scene of a lioness stalking a lone zebra. As believers, we need to stay in the herd. Thanks, brother. Paul, I was directed here from 9Marks, and I thoroughly agree with your post. I want to make one observation: under reason one, you rightly point out the word “membership” is not used in the NT. However, the word “member” is, and in direct relation to connection in the body of Christ, and this is where the entire modern concept of “membership” in a system comes from. It is a thoroughly Pauline idea. Yes, excellent reminder, Clint! I really appreciate your comment. Did you forget the two most important reasons? To hear the Word of God and to partake of the sacraments. Thanks! Yes, those are absolutely crucial, but usually in most churches non-members are just as welcome to receive these blessings as members. My point was to urge the need for believers to commit themselves to one local body/fellowship. I will bear in my mind. Thanks God for your grace. Thaks God’s People for your kind. yes be a active menber of a chruch is great, What is even greater is using that is taught to you, in the life you live eveyday, so One must read their bible, and, pray each day, alone, Yes, being in church, adds friend a rhar one would like in theitr life, but going to chrcuh each sunday, and not using what is ttaught, is usless, Thank you! Think. sorry for miss spelled words, above!